pair Networks is introducing a new way to authorize others to contact support for your account. You can now generate a support passphrase, which others can use to validate that they are allowed to contact support for your account. Additional verification steps are still required for changes to the account, but the contact will be able to ask questions from support. 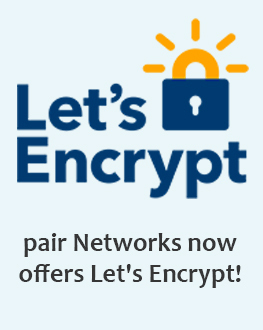 The new passphrase feature will be available on all pair Networks hosting accounts. Why Would I Give Others Access to My Account? While you shouldn’t hand out access to your account’s support to just anyone, there are some occasions where giving someone access to support is beneficial. One such time could be if you have a web developer working on your site. In this case, it might be a great help to them to be able to call and talk to support in regards to your account. Another one might be if you are reselling an account. You can give the passphrase to the buyer of the account in case they need to contact support. Using a passphrase gives you the ability to revoke their access at any time. If you don’t want the individual to have access to support anymore, you can generate a new passphrase and redistribute it to those who still need access. If you want to cut off all access to support, you can revoke the passphrase. This will delete the passphrase on the account, thus removing everyone’s access to support, not including the primary billing account contact. Previously, we used the contact’s personal information to identify who was allowed access to the account. However, the passphrase feature is much more secure and reduces the chance of successful social engineering attempts. Randomly generated passphrases are harder to guess than someone’s address or email, which can sometimes be found online. You may have heard about the General Data Protection Regulation (GDPR) that will go into place in the EU on May 25, 2018. This regulation attempts to give you, the customer, more power over how your data is used. The passphrase feature we are implementing will help with that. Instead of using your personal data to identify individuals who have been given support access, we will use an informal, randomly generated passphrase. Using a passphrase keeps your personal information from being the primary identification and boosts security at the same time. Want to learn more about this new feature? You can check out our knowledge base articles that tell you how to set up a passphrase for the first time, how to change the passphrase, and how to revoke all passphrase privileges. You can also contact our support team with any specific questions you may not find covered here.